Americans (of a certain age, at least) know their French Michels pretty well: There's the late Michel Serrault (La Cage aux folles) and Michel Simon (Port of Shadows), Michel Piccoli (La belle noiseuse) and Michel Blanc (Monsieur Hire). But what about Michel Bouquet? 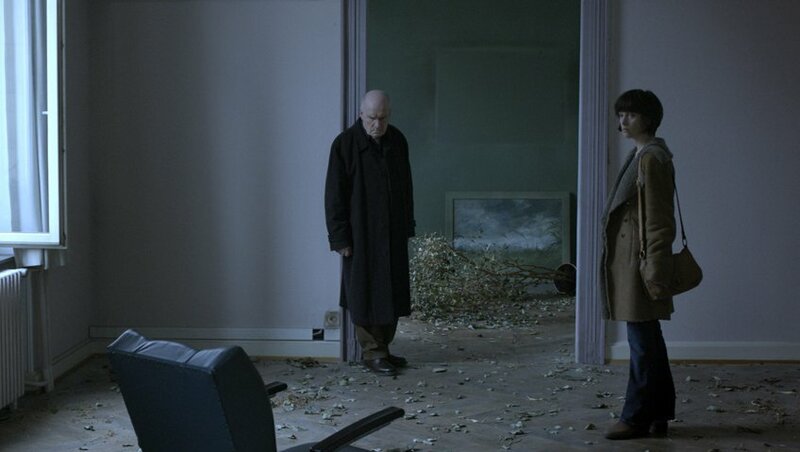 Last seen on theses shores in the title role of Renoir, the actor, shown at left and below, will turn 89 this November. He's a splendid talent, and although Bouquet has been working in film since 1947, it was probably the quick succession of The Bride Wore Black (1968), Mississippi Mermaid ('69) and Borsalino ('70) that brought him attention here in the USA. 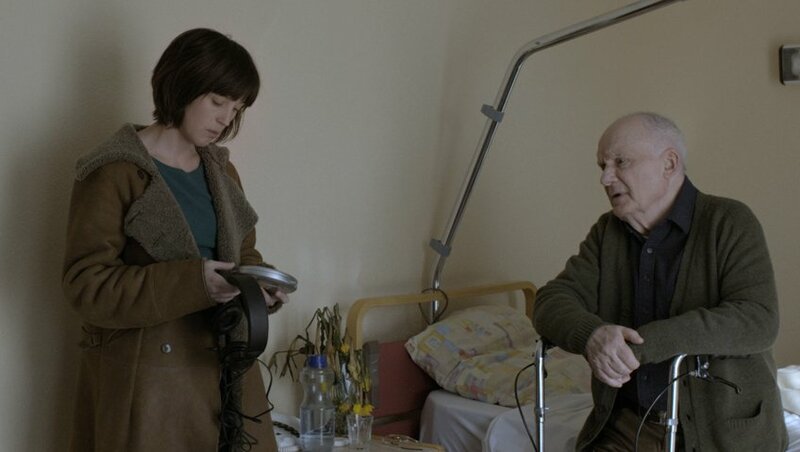 He's still at it, dishing up a fine performance with each new movie, and though it has taken THE LITTLE BEDROOM (La petite chambre) four years to reach American screens, the wait was worth it, for this is one of the actor's finest roles. Our senior citizen is also supplied with a young nurse/home-care attendant named Rose (Florence Loret Caille, above, left) to provide the needed help -- which, of course, Edmond rejects out of hand. Rose herself could use some help, suffering as she is from grief and loss. 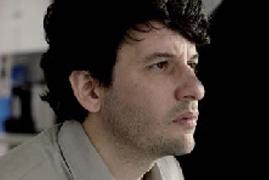 Her husband, Marc, played by that fine actor, Éric Caravaca (below), does what he can, but no, it's is really up to Edmond and Rose to guide each other into repair. Where The Little Bedroom is headed is never much in question, but the journey getting there is filled with events that seem genuine and real, alternately funny and quietly moving. The film-making duo of Stéphanie Chuat and Véronique Reymond (shown below, with Ms Chuat on the left) knows how to compact a small movie like this one with singular events that resonate and build to a thoughtful and moving conclusion. Their film is full of little touches -- like the family at the finale who photographs Edmond -- that seem both special and real. The dialog is spot-on (both women wrote the film as well as directed it), letting what exposi-tion we need tumble easily from the conversations between characters. Finding ourselves through helping others is certainly a time-tested means of growth and change -- as well as helping a movie about this very subject appeal more strongly to its audience. That's the case here, and by the end of The Little Bedroom -- another of those small films that bites off just what it can chew and digest -- I think you'll be very pleased that you viewed it. 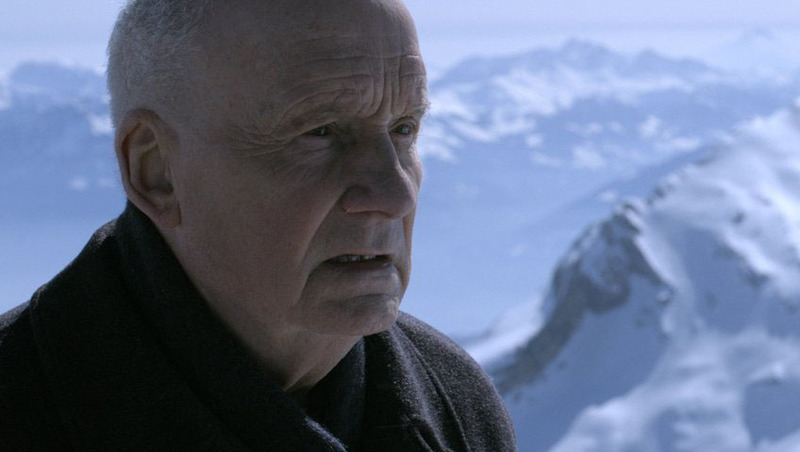 The movie -- a Switzerland/Luxembourg co-production distributed in the USA by Cinema Libre Studios and running 87 minutes -- opens here in New York City tomorrow, Friday, September 26, exclusively at the Cinema Village. Los Angeles audiences will get to see it come October 3, when it opens at Laemmle's Music Hall 3, Town Center 5 and Playhouse 7. And as with most of Cinema Libre's output, it will be available in other formats, as well. 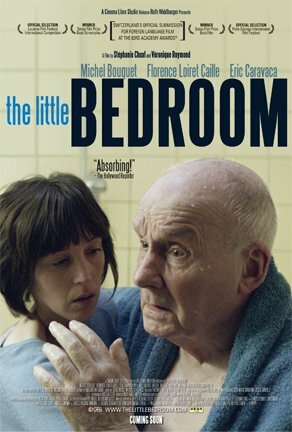 The Little Bedroom hits DVD, Amazon Instant Video and Vudu on December 9th.